In today’s episode we are talking about feng shui and career. This is part one of a three-part series. We’ll start with the idea of the bagua. 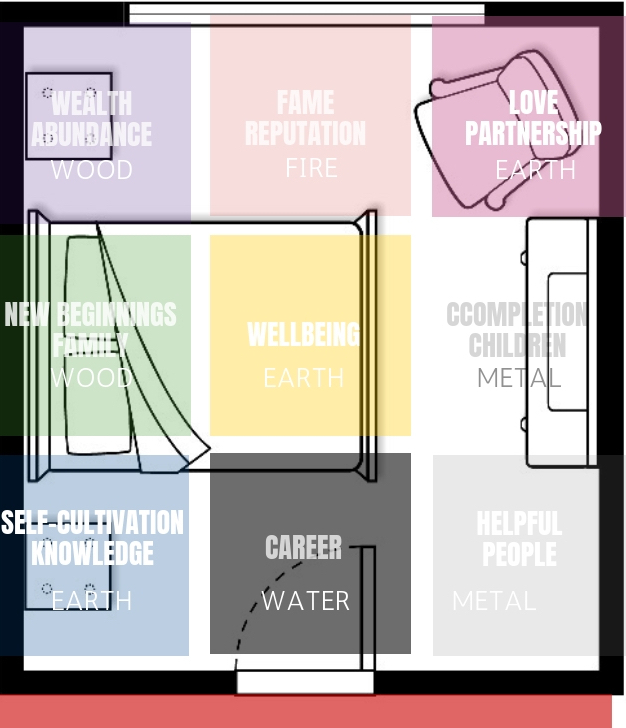 The bagua is an energetic grid that feng shui practitioners use to map a space. Typically the space being mapped is a house; it can also be a single room, or it can even be a whole plot of land. The bagua is a three-by-three grid with nine areas (called guas) in it. The center of the grid is the tai chi (unity/well-being) and then each of the eight surrounding areas relate to a different part of your life. When it is laid over a floor plan, a practitioner can see which parts of a house correspond with which parts of the bagua. One of these areas, called Kan, is associated with career. 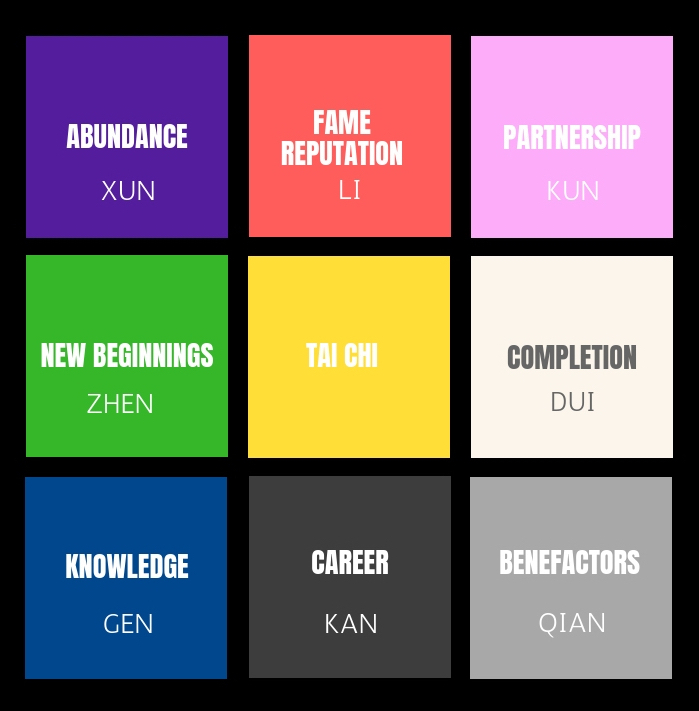 Each school of feng shui has a different way of using the bagua, and we are going to explain it from our perspective: Black Sect (BTB) feng shui. In BTB feng shui we sometimes refer to the bagua as a floating bagua, and is set using the dominant flow of qi. The dominant flow of qi generally comes from the front door or the main entrance of a home, room, or plot of land. For example, let’s look at the bedroom. Find your bedroom door (see the example above); you will line the main door to the bedroom with the red line. As you can see in the illustration, there are three areas along what we refer to as the Kan line , and the career area is in the center.